Technological integration is one of the defining features of today’s wearable technologies. For example, devices like smartwatches, biometric clothing, and augmented reality glasses, for all their enhanced functionality, are regularly integrated within already-established (and even mundane) wearables, such as wristwatches, clothing, and eyeglasses. Similarly, developers of spy cameras—a particularly compelling group of pre-digital wearable technologies—often invested as much time determining which existing technologies their cameras could successfully integrate with (for purposes of concealment) as they did on improving their primary technological function (recording still images). This Micro 16 camera was designed specifically so that all its components, including the lens and viewfinder, would remain flush with its surface. 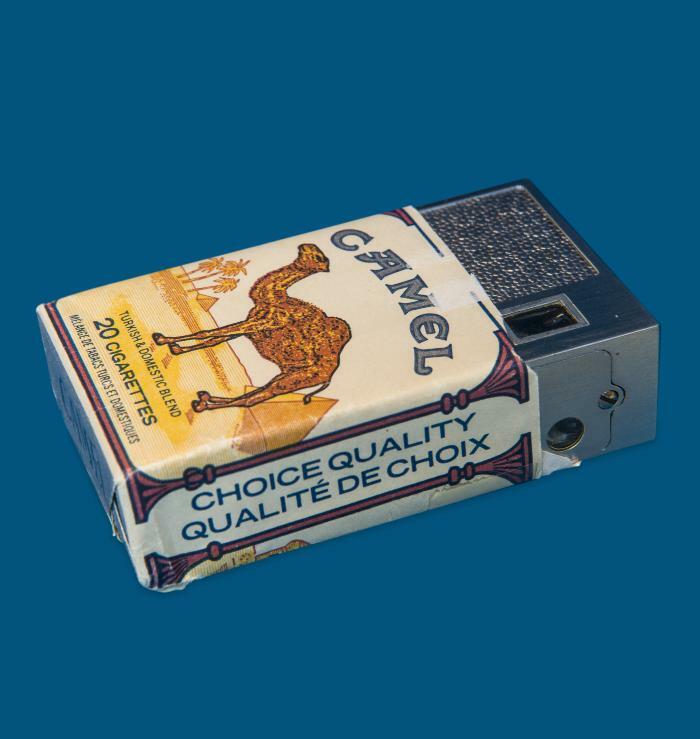 This enabled the user to slide the camera neatly into a common cigarette wrapper, or box of playing-cards, for easy—and sneaky—transport.